There is a worldly quality to Joey Brandin that transcends Salt Lake City. 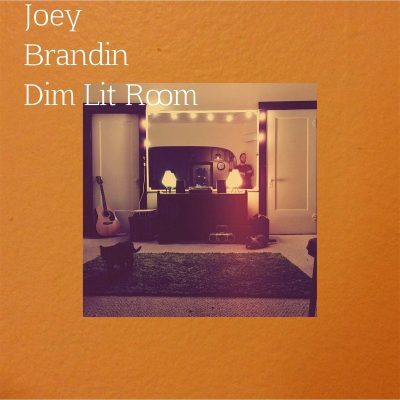 Though the singer-songwriter recorded his debut album, Dim Lit Room, in the very apartment shown on the LP’s cover, the songs themselves go beyond the enclosed area of their origin—you’ll hide away in the French Riviera while listening to “Untitled” and walk yellow beaches to the tune of “Silhouettes.” However foreign their feel, the tracks still carry with them a familiarity, one akin to the warmth and repose of a new home made your own. Unlike many of his contemporaries, the musician isn’t unhappy. Brandin seems, rather, to be in love. The only heartbreak Brandin feels is a sociopolitical one. “To the Struggle,” arguably the album’s coup de grâce, canvasses change. An all-out anthem for the sick-and-tired progressive, the song voices truths that are often left unsaid. It’s the kind of cry for justice that could have been used to campaign for Bernie, were Brandin as celebrated as Ed Droste. While Brandin’s presence may seem soft, his words most certainly are not.